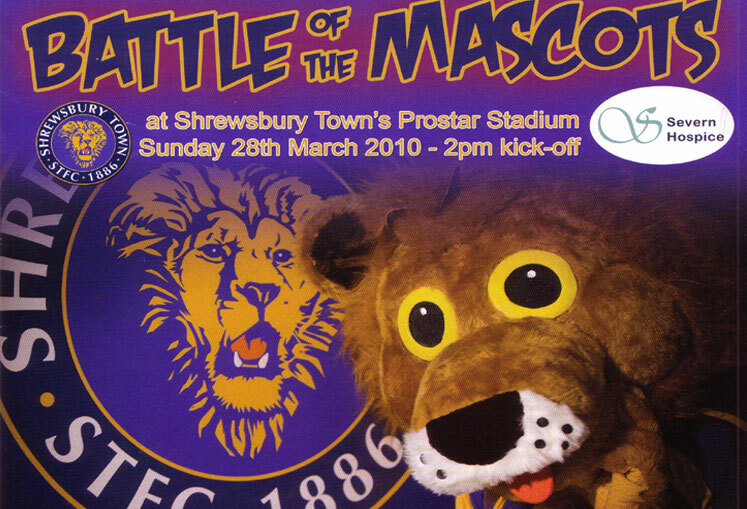 ANGELA HALLAM MASCOTS were featured on BBC's THE ONE SHOW, the BBC's Football League adverts for several seasons and in Rick Minter’s book on football mascots, 'Mascots Football’s Furry friends'. 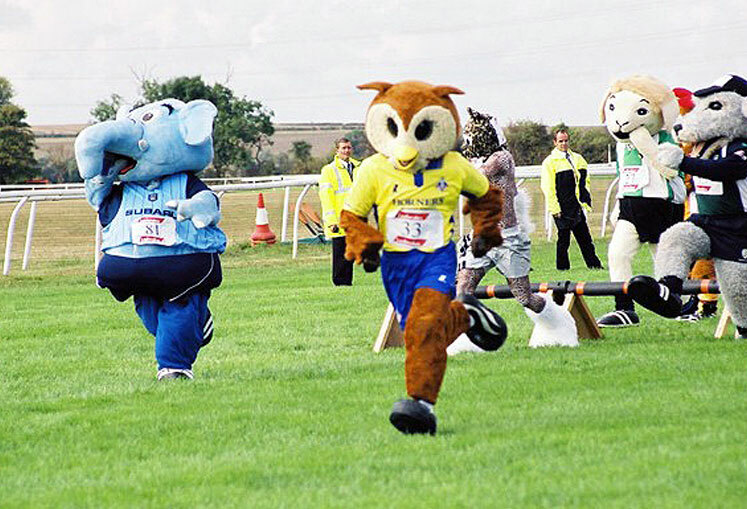 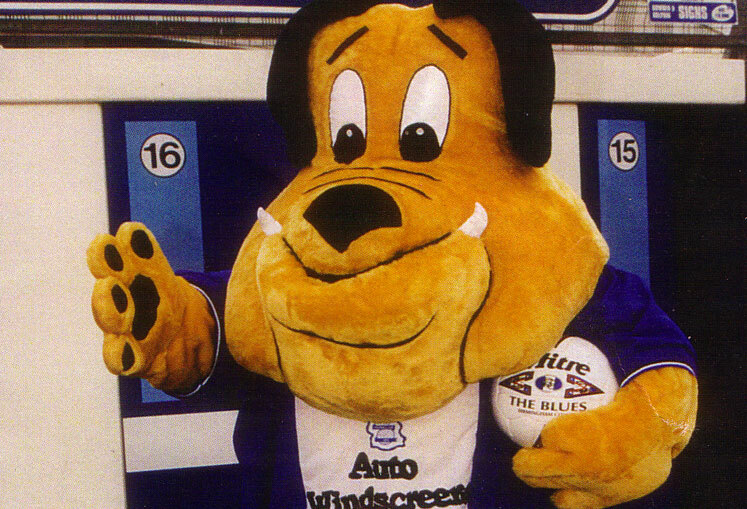 Beau Brummy is Birmingham City Football Club's mascot and also the first winner (1999) of the Mascots' Grand National now held annually at Huntingdon race course. 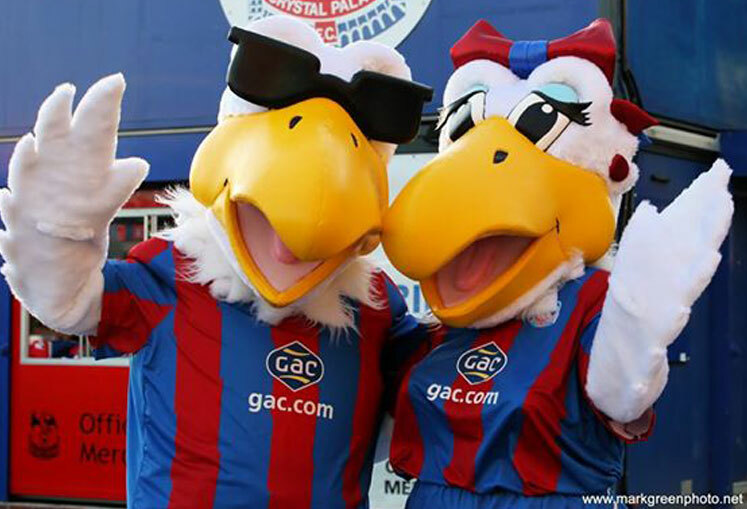 Beau Brummy is featured in the slideshow (below) along with some of Angela's other mascots both for sporting clubs, including newly promoted to the Premier League CRYSTAL PALACE FOOTBALL CLUB - CONGRATULATIONS, (photo credit - Mark Green). 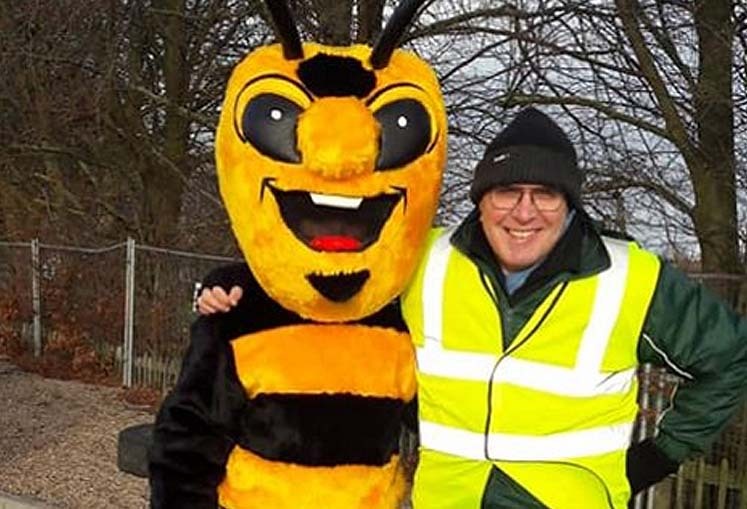 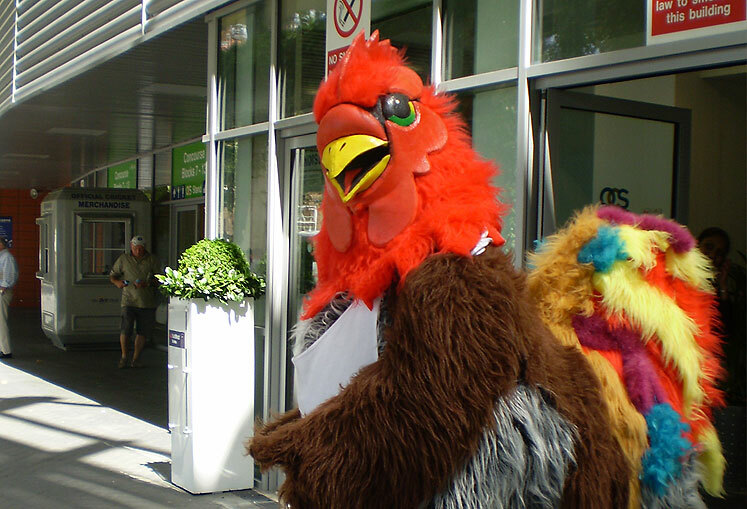 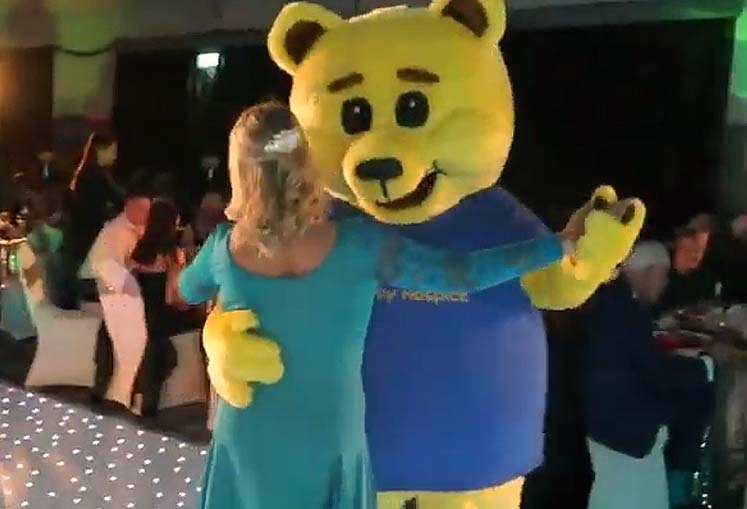 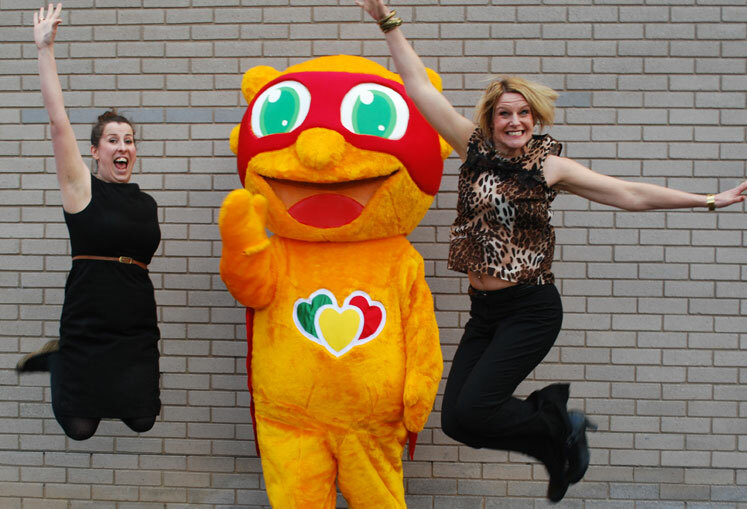 Angela also creates promotional costumes & mascots for other organisations, including Health promotions for Coventry City Council, Sky TV and Holiday outlets. 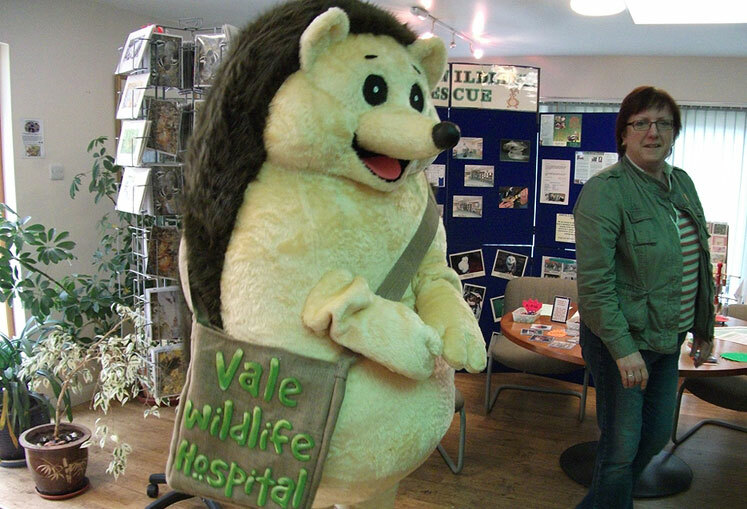 The Hedgehog, made by Angela for The Vale Wildlife Hospital and Rehabilitation Centre . 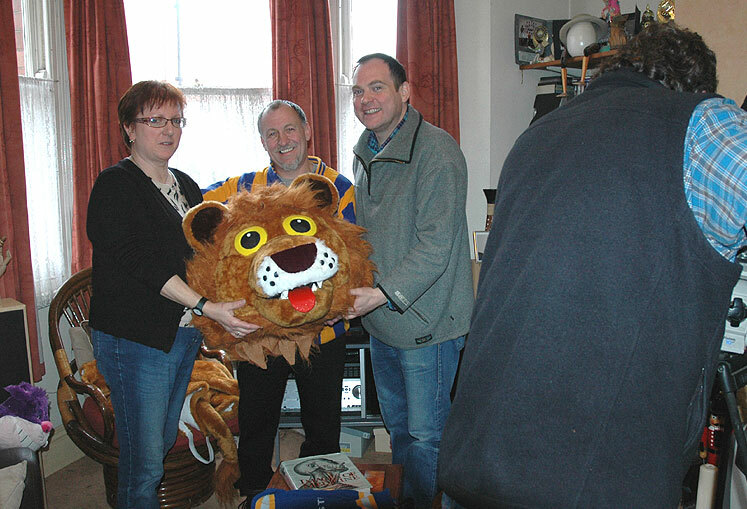 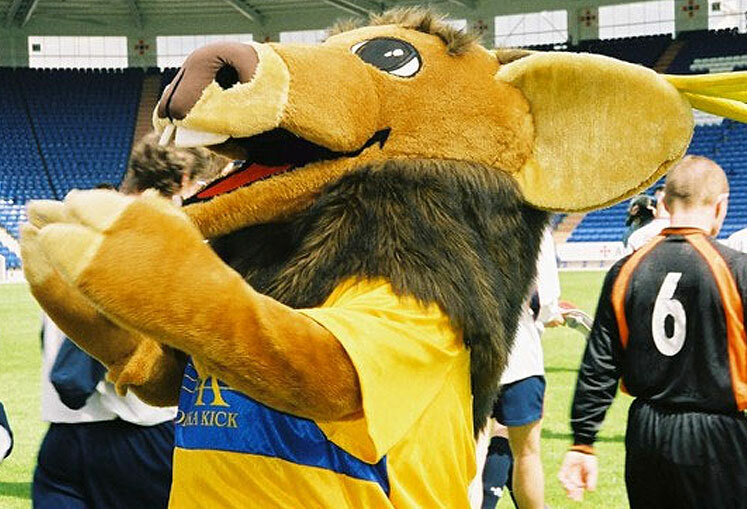 Lenny The Lion, Shrewsbury Town's mascot. 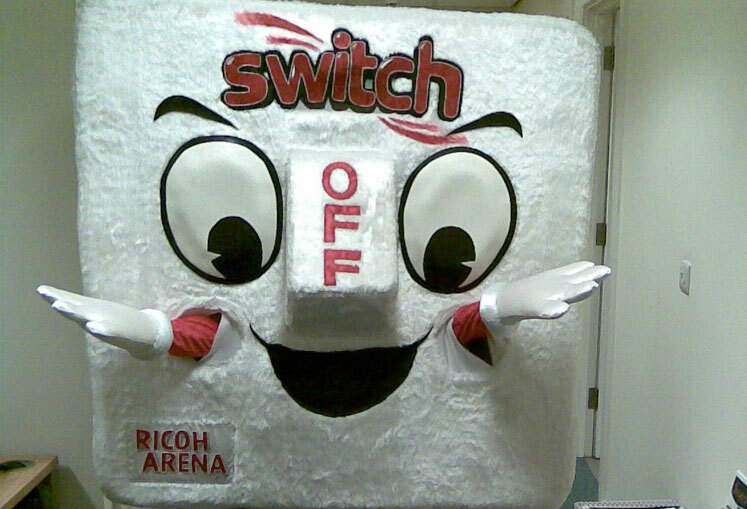 The 'switch off' campaign for the Ricoh Stadium. 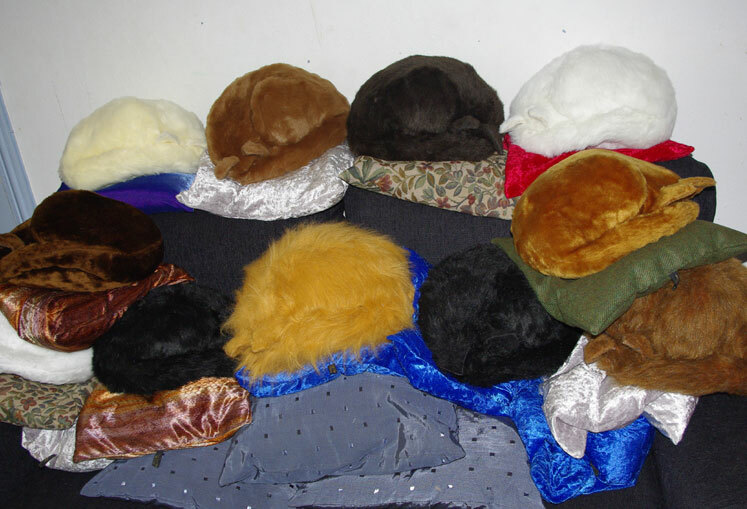 Angela's Cosy Cat Creatures - Hand Made Cats. 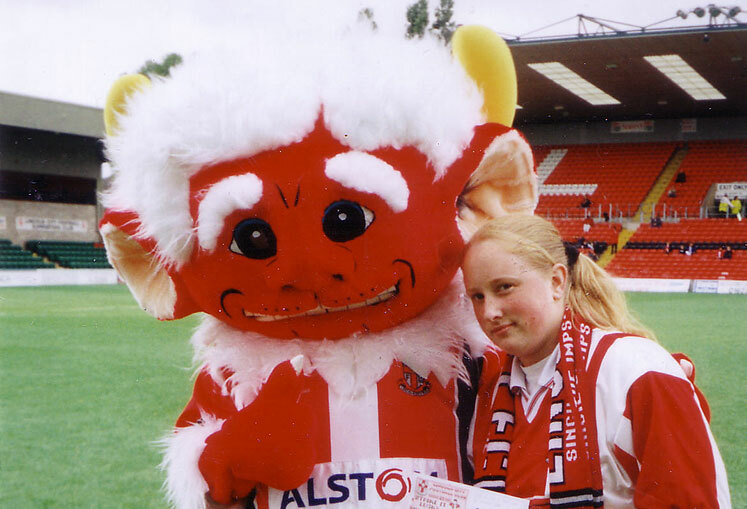 Lincoln City Football Club mascot. 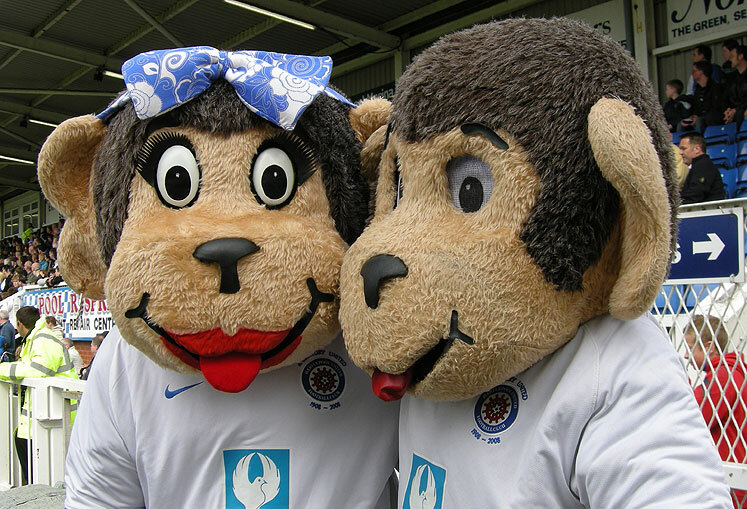 Mr & Mrs Hangus - both made by Angela Hallam. 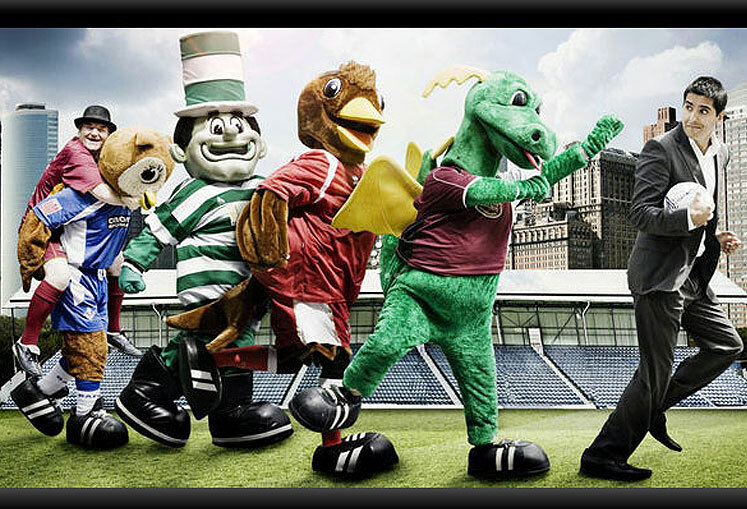 The Football League Show on BBC television featured several of Angela's mascots.